Do the words have new meaning? Have you noticed, as we grow in life’s experiences, we often extract different meanings from a piece of literature or poetry when we revisit it? We may make new discoveries about the characters or life or both. Remember, back in high school, reading The Old Man and the Sea by Hemingway? Its great lessons? A person can be “destroyed but not defeated.” A person can show “grace under pressure.” I could say these words but, at that age, to what depth did I really know and understand? Finding a deeper understanding is one of the perks of “maturing.” Our world view has grown, as well as our experiences with great joys, great sadnesses, and tests of our character. Our emotional world and our ability to empathize have deepened along with our knowledge of the human condition. 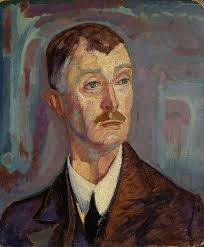 I recently revisited the poem “Sea Fever” by John Masefield (1878 – 1967), Poet Laureate of the United Kingdom from 1930 to 1967. My initial reading of the poem was as a freshman in college. Clearly, it was about a seaman and camaraderie and being called by the sea. In lit class, we discussed rhyme scheme, rhythm, word choices, images. However, I’d never seen an ocean in person, only pictures of it. I’d longed for a date or a car, but not the sea. 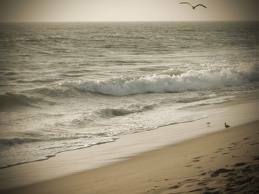 But the poem held in my memory, especially when I saw the Pacific Ocean for the first time that summer. I went down to the ocean often. To Malibu to swim out to the kelp beds. To Zuma Beach to watch the great crashing waves. I ran along the beach, dug my toes into water-packed sand, breathed the scented sea air. I swam, surrounded by a large and mysterious world. The sea did have its own call. I experienced it. The mariner’s longing in “Sea Fever” acquired more meaning. My feeling was very different when I read the poem again recently. Just as the sea called the seaman in the poem back to the sea, I found it triggered nostalgic feelings for my hometown of Buffalo. I wanted to see the people and the place again. I wanted to let the memories and experiences that shaped me as a person fill me. The poem resonated on a more visceral level. An older friend related another way. She identified what she felt as a desire to be surrounded by old friends, a desire to ease into final sweet peace. What book or poem have you reread and discovered something new … about it, the characters … or yourself? This entry was posted in Creativity, Inspiration, Looking for Inspiration, poetry, Reading and tagged beach, John Masefield, layers of meaning, literature, ocean, poetry, reading, reading poetry, reading poetry aloud, sailing, sea, Sea Fever, seaman, tall ships. Bookmark the permalink. 7 Responses to Do the words have new meaning? Perfect! Made to order! Is your tall ship nearby? You’re right. As a native southern Californian, I don’t think I could conjure up the same imaging when I was younger. I probably was thinking more about surfers then! I think you need to have suffered a bit in life to experience the depth of emotion it can bring forth. My grandfather used to read poetry to me when I was very young. One I remember was Little Boy Blue by Eugene Field about a little boy who had left his toys behind. I don’t know if I fully realized he had died. Now, after having children and grandchildren reading it can make me cry. Running along the beach back then, I too was noticing the surfers! And I’d say your grandfather instilled a love of the poetic as evidenced by the moving poetry you write. Yes, poetry digs deep quickly with its layers of meaning in its few lines, with its metaphors and images. littlemisswordy … Thank you for stopping by! Enjoyed your posts. I went to the Atlantic Ocean on the far eastern shore of Canada. My son had died and my head was full of the noises of the last year of his life. I stood on cliffs above a dark and turbulent ocean and my thoughts were overpowered and quieted. The sound of dark and heavy waves throwing themselves onto the shore boomed inside my body. I’m not sure anyone can stand before the seas and not be aware that they are but a small part of a big plan. In some ways it freed me. Thank you, SusanB, your comment touched me. I’m so sorry for your loss. I’m glad you found a moment of solace standing by the sea, its power empowering you.